Adorable Danish Birthday Album! The spine has a golden stork and the front cover is embossed with cherubs. Very unusual! I was unable to find another one like it for sale online! For each day of the year, there is a small poem or saying, plus room to write in the names of friends and family who have birthdays that day. Each new month has a prettily illustrated page to introduce it. In the back of the book, there is a place to list people alphabetically by last name, and give the corresponding page where to find them in the chronological birthday listing. 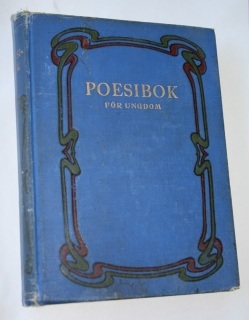 Publisher: "Det Nordiske Forlag, Bogforlaget, Ernst Bojesen, 1899." Some wear to edges and corners of cover. Splitting of cloth at the seams of the spine. Neatly written names of family and friends on many pages. Some pulling/slight splitting between pages, but binding is pretty good overall. Pages are clean except for a few "age spots." Pages are made of high quality paper. Owned by "M. Christensen, Varde." Some other names that appear in this book are: Frida Beenfeldt-Ericksen, 1913, Fru Andersen (Clas), Emilie Brommann, H. Christoffersen, w. Malsby, Ru-h Wiegand Nielsen, Paul Beenfeldt Eriksen, 1945, Inge Wiegand Nielsen, and many others. 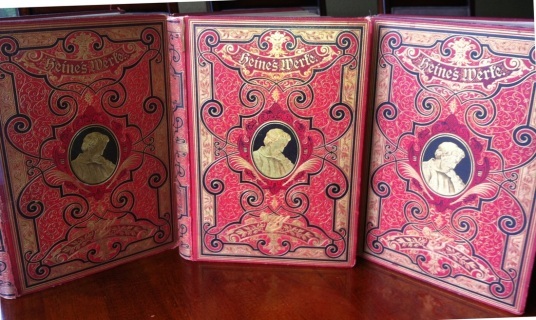 Very rare, gorgeous books. Three large red hardback with black and gold gilt designs. Written in the German language. 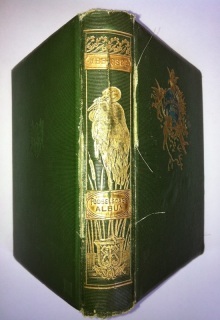 Extensively illustrated with lavish engravings. 2. "Rriftliga Bredifningar...Evangelier" by L.C. Betzius. (Script is elaborate, and I may have misread some of the letters.) 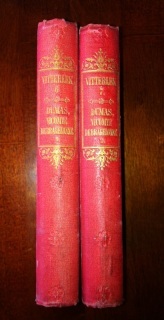 Published in Stockholm by F. C. Ufterbergs. Dated 1897. Stamped by Augustana Book Concern, Rock Island, Illinois. I would guess this to be a Lutheran Christian book. Black marbled cover with black leather spine. 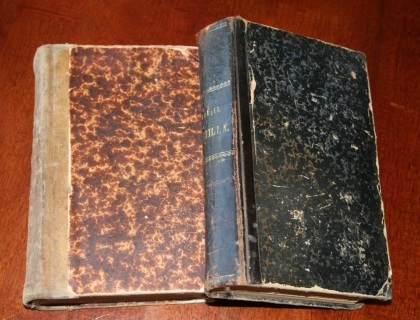 Cover has scuffing.